Before we talk cake business, I want to share some wonderful and unexpected news with you. 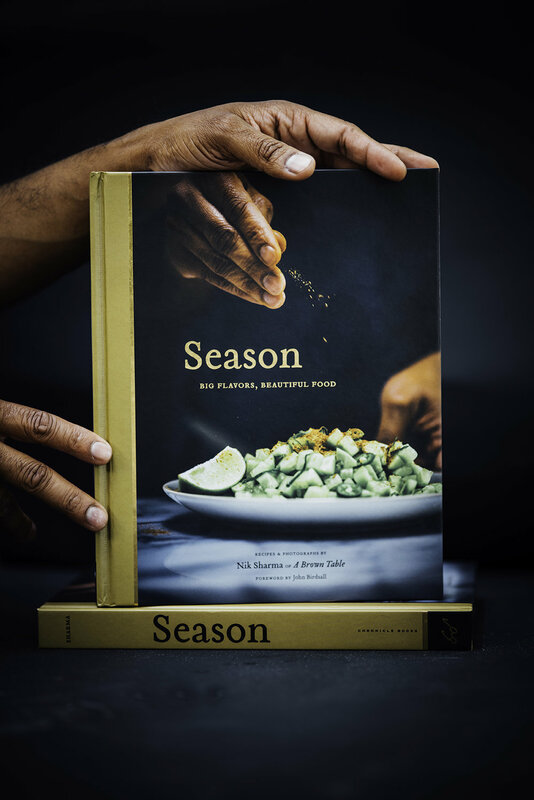 Yesterday, early in the morning, I received some news from my friends that Season was nominated as a finalist by the James Beard Foundation Awards in the Best Photography category for Cookbooks. I was shocked to say the least, got emotional, and my hands started to shake when I tried to text M to tell him the news. The James Beard awards will be in NYC and we will be heading out there in April. You can get the full list of Beard nominees for this year on their website. For those of you that purchased a copy of Season, I would love if you could leave a review of it at your bookstore. It really helps spread the word when people hear from folk that have cooked from it. As some of you might know, we recently lost Snoopy to cancer after having him in our lives for nine wonderful years, it’s been a month and I wish he were with me at that moment. The past few weeks have been difficult and I miss him in the smallest things: buying string cheese for him to eat, or sitting with him outside in the garden, throwing his tennis ball for him to fetch and all the plants he peed on and destroyed in the backyard. The news this week was a nice spot of sunshine as I get used to not having him around. Sift the flour and salt in a medium bowl, three times. In a clean and dry bowl of a stand mixer, whisk the eggs with the whisk attachment until frothy for about 4 to 5 minutes on medium speed. Add the cream of tartar and continue whisking while slowly add the sugar in a steady stream. Whisk for about 8 to 10 minutes until you get soft peaks that can hold their shape. Remove the bowl from the mixer. Add the cardamom. Then sift half of the flour mix over the egg whites and fold using a silicone spatula using an outward to inward motion, cutting through the middle (to help bring the dry ingredients to the top). Repeat with the remaining flour. Using a large spoon scoop the batter into a 9 - inch un-greased angel food cake pan. Place the pan in a cold oven and set the dial to 325F. Bake for about 55 to 60 minutes until the cake is completely baked, soft and springy to touch in the center and a skewer comes out clean. Once baked, remove the pan from the oven, invert the cake pan over a tray lined with parchment paper and let it cool in the pan for 1 hour till cool. Once the cake is completely cooled, run a knife around the edges of the pan to release the cake and place on a cake stand or serving dish. Frosting and toasted coconut recipes follow below. Place all the ingredients in a mixing bowl place over a bowl containing some ice water. Whisk until you get soft peaks and the sugar is completely dissolved, around 4 minutes. Pour this frosting over the cooled cake.